HomeFront Page PostsGiveaway: Win tickets to enjoy ‘high tea’ with best-selling author Eloisa James! Giveaway: Win tickets to enjoy ‘high tea’ with best-selling author Eloisa James! Remember when we told you the Rogers Public Library Foundation and The Friends of the Rogers Public Library are hosting “high tea” with New York Times best-selling historical romance author Eloisa James? 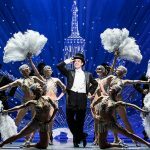 Well, two of our readers get to attend for FREE! And you’ll each get an Eloisa James book, too! 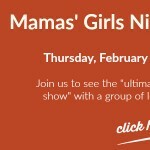 It’s going to be such a fun event. I mean, everyone’s invited to wear big hats or fascinators, so we’re pretty sure it will be like attending the royal wedding, right? 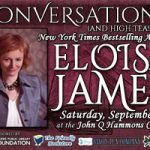 The “Conversations” event will be on Saturday, Sept. 22nd, at John Q. Hammons Convention Center in Rogers from 4-6 p.m. Tickets are $40 and the price includes a copy of Eloisa’s latest book, which hit shelves earlier this month, called Born to be Wilde. Oh, and it also includes delicious and delectable pastries, sandwiches and tea. Gwen and I will be there and we can’t wait! Click here to find out more and to grab a ticket if you don’t want to take any chances! After graduating from Harvard University, she earned an M.Phil. from Oxford University, a Ph.D. from Yale and eventually became a Shakespeare professor, publishing an academic book with Oxford University Press. She continues to teach at Fordham University and write books. Eloisa’s “double life” fascinates people. With degrees from Harvard, Oxford, and Yale, she’s an acknowledged expert on almost every era of literature, from the Elizabethan Era to modern pop culture reads. In that capacity, she speaks to a wide variety of audiences, whether it be in front of a classroom, to media, to academics as part of the plenary panel at the Shakespeare Association of America conference, or to fellow authors, booksellers, librarians and readers as the keynote address at the Romance Writers of America convention. Good luck, fascinator mamas! We’ll choose a winner on Friday afternoon, so watch your inbox! And remember, the Rogers Public Library Foundation is a non-profit organization with the mission to support and fund programming for the Rogers Public Library. When you buy a ticket to this event, you’re not only gaining access to a fabulous afternoon, you’re also helping a great Northwest Arkansas library. 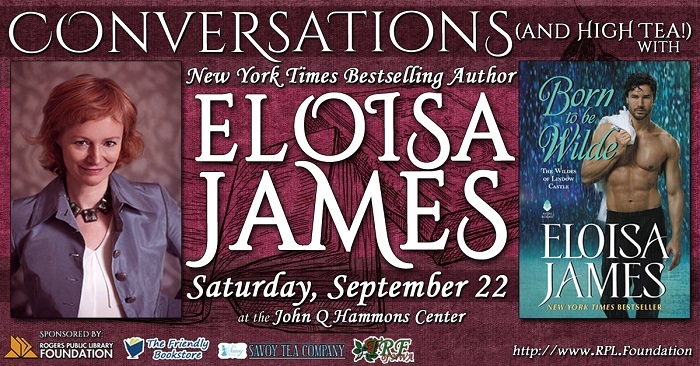 CLICK HERE to get your ticket to attend Conversations with Eloisa James. 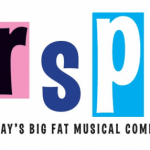 Giveaway: Tickets to see Hairspray at Rogers Little Theater! 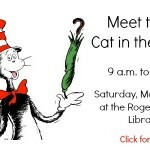 Meet Cat in the Hat this Saturday at Rogers Public Library! I just got Kindle Unlimited and I have read so many books, but there is this trilogy by Addison Cain that has really struck a cord with me. Born to be Bound is the first one in the Alpha’s Claim series. It’s a dark series though with a Mad Max feel as well as our antihero has more qualities like Bane from the darker Batman movies. On another note, Acheron is my absolute favourite character and he is from the Dark Hunter series by Sherrilyn Kennyon. Obvi I love my paranormal dark romances with some humour, but I cut my teeth on romance with Regency novels.. Marion Chesney and Jane Austen…lol. I would love to meet this author because I have read some of her novels and as an aspiring writer I’d love to ask her about her process. I love Eloisa James! My friend and I are huge fans. We would love to meet her in person. Her new series is simply fantastic. As a historical romance junkie, it’s crazy to see a huge historical romance author come to our little small town. I hope this event takes off in a big way so we can get more like it. Also, there are so many good ones out recently. Sarah Maclean’s Wicked and the Wallflower, Vivienne Lorret’s new series the first book How To Forget A Duke, Lenora Bell’s School for Duke series. Maya Rodale’s upcoming Duchess by Design book, set in the gilded age. That’s just this year. There are so many more. My favorite Eloisa James book is Four Nights with the Duke.